Lysa & Huey Ink! : Nothing Says It's Over . . . Like A Covered Pool! This graphic will be used for cupcake toppers and I will add the team logo before I go to print. I made it using CA2 (as always) I have a tag line that I will format in a circle to go around the outside of the butterfly. I will post a pic when they are on the cupcakes. Now I need another cutter like I need a hole in my head but I am a Brother fan to start with so I had to have this baby. I have to tell you it was not easy to buy. There are 2 models available. This is the one that is available through a sewing machine dealer. Go figure, all the quilters are now going to be cutting fabric with a machine (you go, Quilters!). Me, I am hoping this is the answer to all my print and cut issues. I could not find a dealer in Middlesex County, NJ so we had to take a bit of a trip. I paid in advance for a cutter that I never even saw work. (you go, Lysa! Let's just hope this is not another Cricut Imagine disaster!) Time will tell and let's just thank heaven that the Hubs did not file for divorce!! Stay tuned because I plan on trying to see if this cutter will play nice with my CA2 and MTC software. I hope you all are having a great weekend and thanks for visiting! I'm so sad to see summer go too Lysa! It was almost 90 here yesterday and Friday and boy I was wishing the pool was still open, but sadly we just closed it before it got hot again. Almost 90 in Oct?!!! Crazy!!! Told DH last night at summer that I could have gotten in the pool these past 2 days and he laughed saying he could too. lol We do not have a heater on our pool and so wish we did, but the nights have been too cool and the water was way to cold for these old, arthritic bones. So until next year! 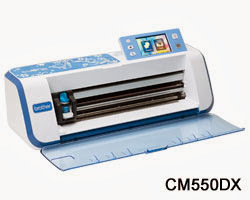 I hope to that your new machine will not be another Cricut Imagine disaster!!! I also love your breast cancer image. Believe it or not I was going to do one similar for Lupus because we have the butterfly for Lupus because of the butterfly rash across the nose and cheeks looking like a butterfly. Have fun getting Rory's costume ready!!! You are a lucky grandma to have your grand-daughter in your home!!! What fun!!! Oh Lysa thank you for your offer and yes I would love that!!! You are amazing my friend!!! Hugs! We closed ours a week ago. Never got to use it this year. Sandy did a number on our pool, so we had to drain the entire thing, clean it out real good & then re-fill. I couldn't help DH as my back is bad. We really didn't have much summer here in OH, either rainy or too cold. I want to move south!!! I feel your pain! So glad you got the files. I removed your email addy from above so it isn't just hanging out in cyber space. Please show me a picture of how you use the graphic if you end up making something. I live in Middlesex County too. I always wanted an Imagine, never did get one. I bought a Cameo just for the print and cut, but the registrations marks and that wonky intact system of paper...ugh...so I too bought the Brother SNC...and I am loving it.